Lawrence of Antigua offers guided tours of Antigua. Ride in air-conditioned comfort. We are prompt, reliable, affordable, and very experienced. 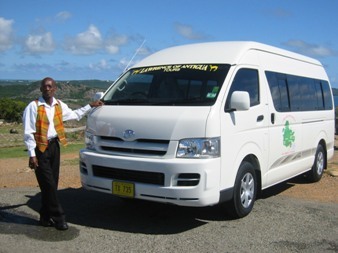 Lawrence of Antigua caters to individual, family or group tours. So, if holidaying in Antigua, visiting from a cruise ship, or in-transit for a few hours we can take you on a specially designed tour of the island. See and enjoy the most interesting and entertaining sites on the island, including historic English Harbour, Nelson's Dockyard, Clarence House, Interpretation Centre, Block House Hill, and Shirley Heights in the south; There will be an $8.00 USD fee each for persons 12 years and older to enter the national park. Tour will drive you through the lush green Rain Forest, then you will see the beautiful coastline on the south western side of the island. There is a tour which takes you to Betty's Hope and Devil's Bridge within the north Eastern section of the island. Complimentary drinks provided on all tours. If you want the "beach after island tour," we will take you there where you can relax for as long as you wish. We then take you back to your destination at the end of the day. 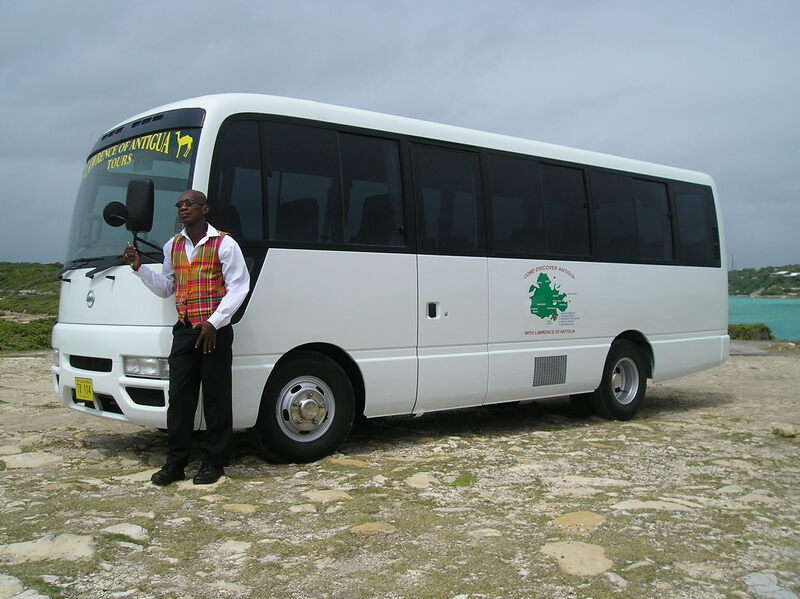 Lawrence of Antigua tour company consists of four qualified drivers and tour guide. If your group has a special tour in mind, just let us know. We customize to suite your taste. We cater for both small groups and large groups. Please contact Lawrence of Antigua for full detals.